Oroville is a great place to go for a bike ride. The city is surrounded by beautiful scenery, and trails like the Freeman Trail and those in the Oroville State Wildlife Area attract many cyclists, both local and from other parts of California. Moreover, an increasing number of people are choosing to ride their bikes as a form of transportation all across the U.S. 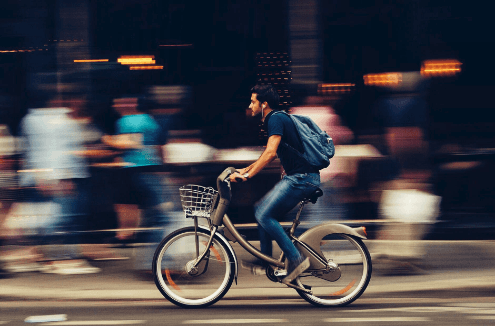 According to the U.S. Census Bureau, the number of people who bike to work has risen by over 60 percent in the last decade alone. However, riding a bicycle comes with serious risks, especially when sharing the roadway with motor vehicles. In fact, according to the Centers for Disease Control and Prevention (CDC), more than 1,000 cyclists die, and around 470,000 are injured in U.S. accidents every year. Furthermore, CDC estimates that over $10 billion in monetary losses are suffered due to U.S. bicycle accidents annually. Because bicycle accidents can mean serious damages, injured cyclists are usually able to claim compensation for their injuries from negligent parties. Under California law, at-fault motorists must accept responsibility for the damages they have caused and reimburse injured cyclists for their losses. However, cyclists who are severely injured in an accident have a lot on their hands. Injured cyclists are most often trying to recover and return back to their daily lives after their injury. On top of physical and emotional stress, pursuing a personal injury claim can be difficult without help. I have over 36 years of experience in helping people claim the payments they deserve for personal injury cases, including bicycle accidents. I can personally review the details of your case, give you advice about your legal options, and help you move forward with getting the payments you deserve. If you’d like to speak with me personally about your case, feel free to give me a call at (530) 392-9400. Bicycle accidents frequently happen in Oroville. In fact, UC Berkeley research data shows that over 90 traumatic bicycle accidents took place in Oroville over the past ten years. These accidents accounted for almost 10 percent of all traumatic auto accidents that happened in the Oroville and caused numerous serious injuries. Watch YouTube Video: NHTSA's Bicycle Safety Tips for Adults. This video provides basic tips for adults on bicycle safety. If you suspect that you were involved in a collision because of a poorly made bicycle, my firm can investigate the accident and pursue a claim against the parties responsible for selling you a dangerous product. Recovering after an accident takes time and, most often, money. Injured cyclists are frequently left with steep medical care bills and need expensive therapy to fully recover. In addition to these costs, recovering from an injury often means taking time off of work. In severe cases, an injured cyclist may not even be able to continue his or her career due to chronic injury symptoms. I’m Ed Smith, an Oroville bicycle accident lawyer who has practiced personal injury law for more than 36 years. I’m also the founder of AutoAccident.com, the best website for information on personal injury topics in Northern California. If you or an individual that you care about was injured during a bicycle accident, you could call me at (530) 392-9400 or (800) 404-5400 for my free, friendly advice. Before you call, you may want to learn about how I’ve been able to help my past clients. To read reviews of my practice, see Google, Yelp, and Avvo. To get details about the success I’ve had advocating for my clients, check out the Verdicts and Settlements obtained by my firm. You can also get more information about us on our facebook page. I’m a California member of Million Dollar Advocates Forum, the national group for lawyers who have won over a million dollar trial verdict or case settlement.